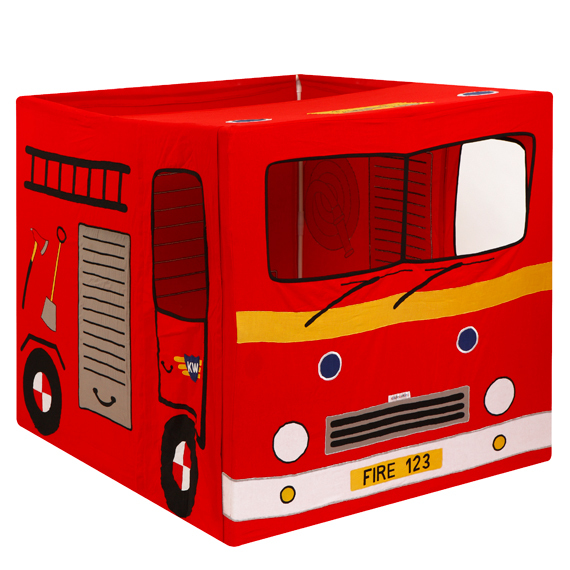 The Fire Engine Playhouse is the newest addition to the range from Kiddiewinkles. In ravishing red it is bright and colourful with an authentic design that both girls and boys will love. 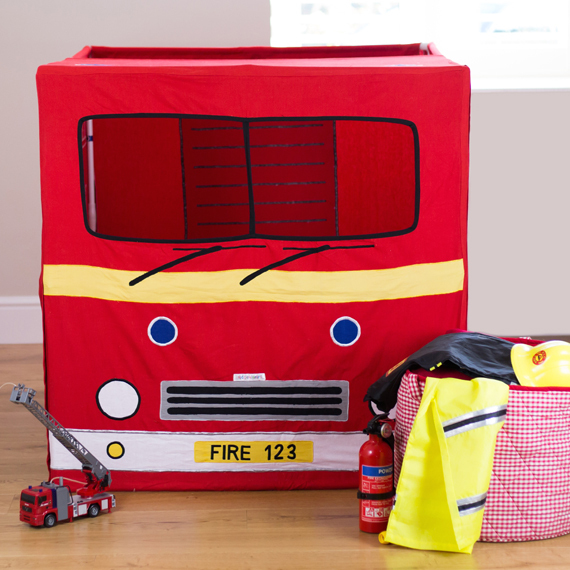 Hand embroidered and appliquéd wheels, lights, fire tools, ladder and fire hose will inspire creative play. 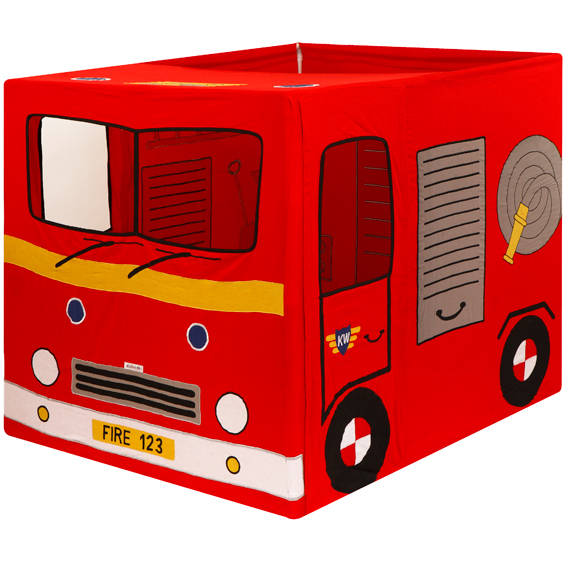 The fire engine has a door on either side and a large front windscreen. 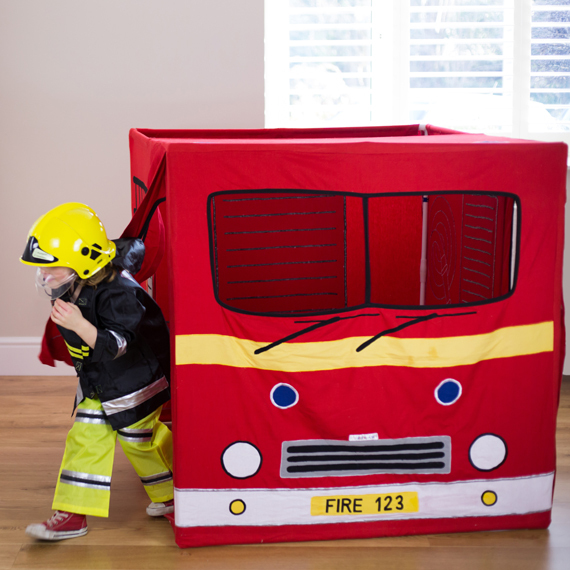 The roof covers half of the fire engine to provide a ‘hideaway’ / driving area and the rear is open to enable hours of interactive play, putting out ‘pretend’ fires!